University of Richmond law professor Carl Tobias says the House could impeach Fairfax given that the GOP seems to "perceive little downside" to it. 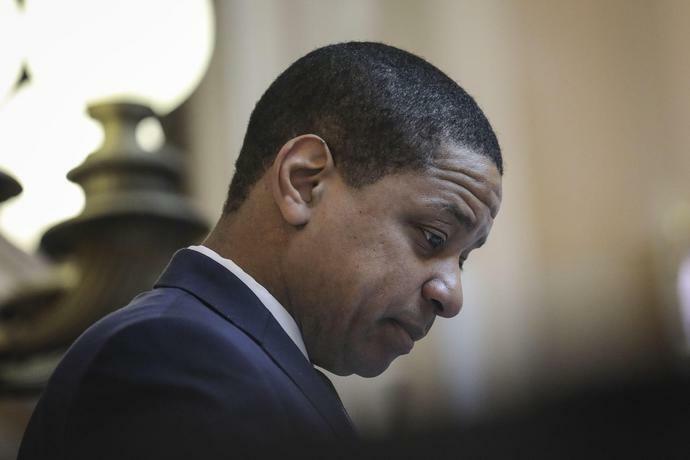 Fairfax reaffirmed his innocence and his intention to remain in office on Saturday. He called for "space in this moment for due process" and for an FBI investigation. The FBI declined to comment. In his first interview since the scandal erupted, Northam told the Post on Saturday that he had "overreacted" by putting out a statement taking blame for the picture. He said that an "independent investigation" being conducted by Virginia Medical School is aimed at establishing the facts in the case. "This has been a real, I think, an awakening for Virginia," he told the Post. "It has really raised the level of awareness for racial issues in Virginia. And so we're ready to learn from our mistakes."